Now you can Order your Oriflame Products from a Consultant near you or get it by courier at your door step. Step 1 - Short list the products you want to order. Have you short listed the Oriflame products you want to order? If you have already short listed the products please proceed to step 2. 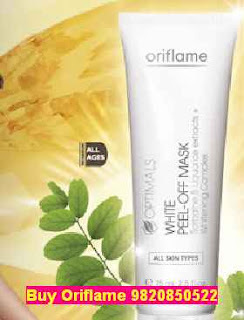 There is a wide range of Oriflame products you can choose from every month. Step 2 - Submit your Order. 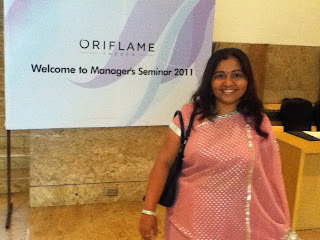 Click here - To Submit Your Order of Oriflame Products Online. or SMS or Whatsapp your Full Name, Address, Product Codes on 09820850522. Once you place your Oriflame Order Online or by Email, WhatsApp or SMS, you will get a call from us. We will either give you the contact details of the Oriflame Consultant near you who will get the products for you. If we send you by courier, then we will give you the courier details of the products we have sent by courier (in case there is no consultant in your area.) We do Shipping all over India and we give free delivery (no courier chargers) on orders above Rs 1000. Time taken for product delivery: Depending on your location Minimum 3-4 days, Maximum 7 working days. Mode of Payment in case a consultant hands you the products - CASH. Click here to add me as friend on Facebook. how much would it cost for order below 1000? and how can i pay? If the order is below 1000 you will need to pay the courier charges. If order is above 1000 there is no courier charges. If there is a consultant near you then there will me no charges for product delivery. Just pay for the products. My consultant no is 5302324. Pls send my password at my ID mitali.mail@rediffmail.com amd my phone no is 9748953043.Pls help me. Is cod option is available? If yes...then how could we do that? If i ordered...they will deliver my product at my home? Hi Jashmi. I am an Oriflame consultant and everytime I order less than ₹1500 the delivery charge is ₹100 and handling fee ₹50 and order above ₹1500 has delivery charge of ₹100. I don't want to pay the delivery charges at all. What should I do?